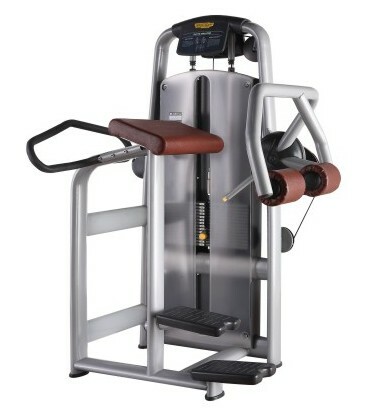 Selection Pro Series Strength Machine.The Glute Exercise Machine Originally Designed from Italy TechnoGym, with a greater range of motion, trains the balance of the body. More precise muscle groups training effect, making it the best glute machine. Heavier weight stack, to ensure the smooth and intensity of exercise. This Gym Glute Machine has easy start assist system, hydraulic system which can be pressed 200 thousand times and independent movable arm, empowerment balancing effect. More humanized adjustment system. Combination 60*120*3.0mm Oval supportive steel for heavy duty commercial use. Looking for ideal Glute Exercise Machine Manufacturer & supplier ? We have a wide selection at great prices to help you get creative. All the Gym Exercise Machine are quality guaranteed. We are China Origin Factory of Best Glute Machine. If you have any question, please feel free to contact us.